Looking for a great marketing tool that is going to attract your customers and give them your sales message? If the answer is yes, then promotional t-shirts from APS are just what you need! Not only are they great value for money, but will be appreciated by anyone who receives them. 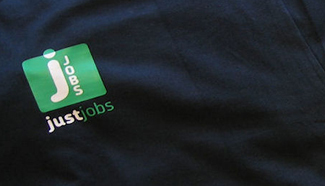 Printed t-shirts are a popular in the promotional industry. Available in a wide range of colours and prices they are moving sales banners for your company, ensuring maximum brand exposure. At APS, we offer you a variety of branded t shirts that not only boast of quality, but also fit every budget. We can also help you with the design of your T shirt and help you select the best T shirt for your needs, so check our catalogue, contact us or pop in to see us!